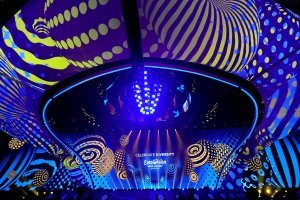 Ukraine is completely ready for hosting the Eurovision Song Contest 2017 in Kyiv at a high level. 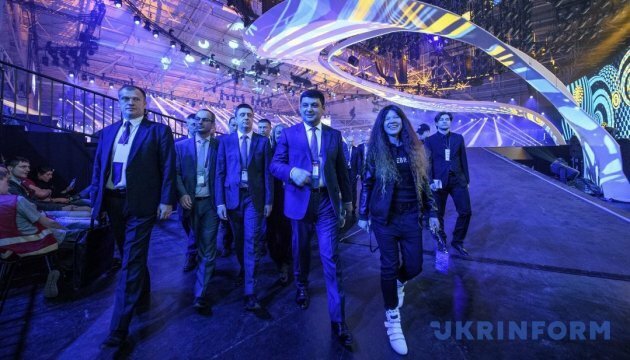 Prime Minister of Ukraine Volodymyr Groysman said this to journalists when checking the state of readiness of the International Exhibition Center for the Eurovision 2017, an Ukrinform correspondent reports. 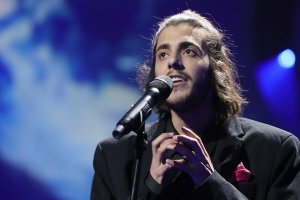 “Ukraine is absolutely ready for hosting the Eurovision. I remember how it all began. It began with the victory of Jamala. Someone could have said then that Ukraine would not have time to prepare. I promised that we would prepare, and now you see that Ukraine did everything necessary for holding the Eurovision: we have excellent auditorium, stage and team. The preparation was extremely difficult, but we had been working every day for this day to come and this important event for our country to take place,” Ukrainian PM noted. 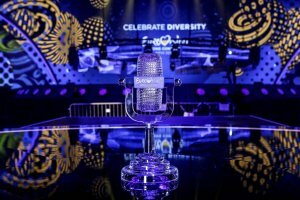 He added that all the necessary security measures would be provided in Kyiv while the Eurovision Song Contest 2017 will be held in the capital of Ukraine. "All the necessary security measures have been provided. We have a lot of experience in counter activities and understand what needs to be done. All the relevant services work to ensure the absolute safety of guests of the Eurovision Song Contest 2017 in Ukraine. To date, I can clearly say that the level of security is extremely high, so we will be happy to welcome the whole world," Groysman said. Ukrainian Prime Minister checked the readiness of the press center, where the journalists will work to cover the events and news of the Eurovision 2017. The press center will accommodate 2,000 people, including 1,500 accredited journalists from around the world and 500 accredited fans. Groysman also checked the zone for the country delegations. Each room of the International Exhibition Center is accessible for people with disabilities. There are 54 seats for people with disabilities in the auditorium, the access to the zone is equipped with ramp. PM Groysman was also informed in detail about the Eurovision stage, which had been already constructed. The stage itself has a weight of 30 tons, and the area for performances is 350 square meters. The screen, which is part of the stage, is 11 meters high and 70 meters long. This screen is the largest one ever built in Ukraine.